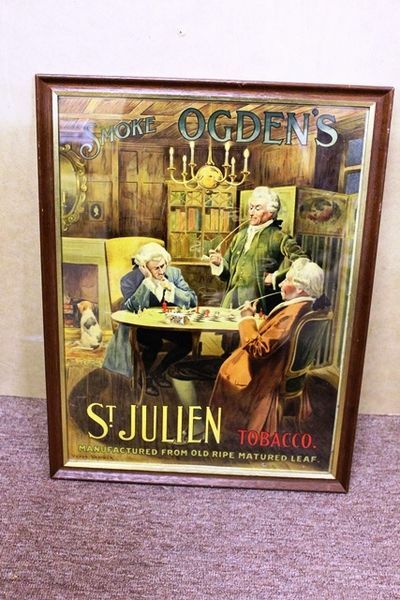 Antique St Julian Tobacco Framed Advertising Sign. Stunning graphics. 42cm x 54cm.